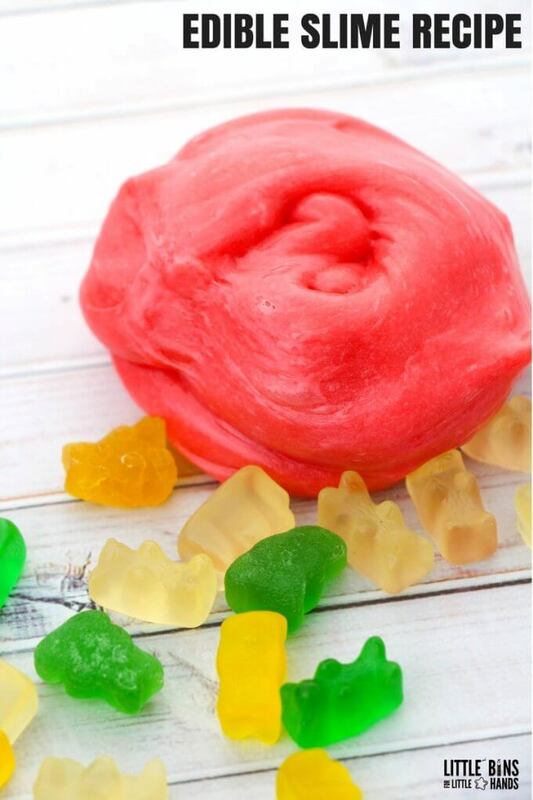 If you want or need a different kind of slime activity, our newest edition of a gummy bear edible slime recipe is just for you! I am more of a classic slime kind of gal, but who can resist a bit of candy science. Our homemade edible slimes are so diverse now that there is definitely something for everyone! 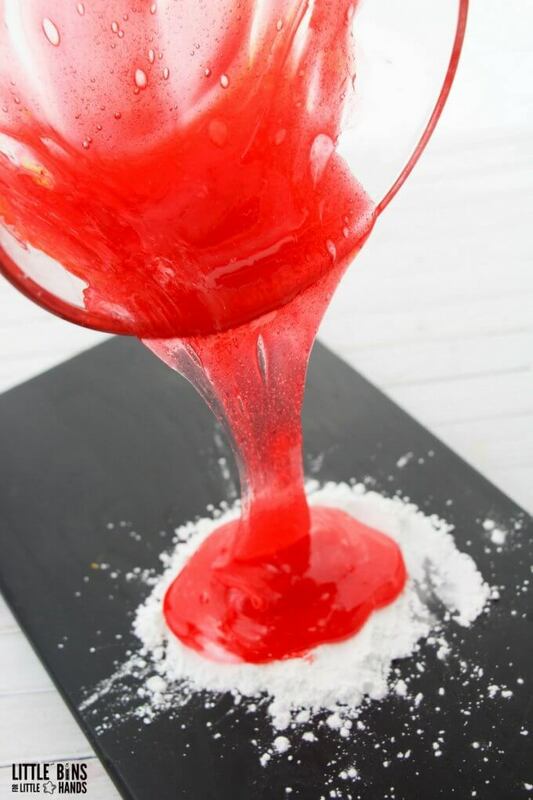 Taste safe or edible slime is a great alternative and completely borax free. GUMMY BEAR EDIBLE SLIME RECIPE FOR KIDS! 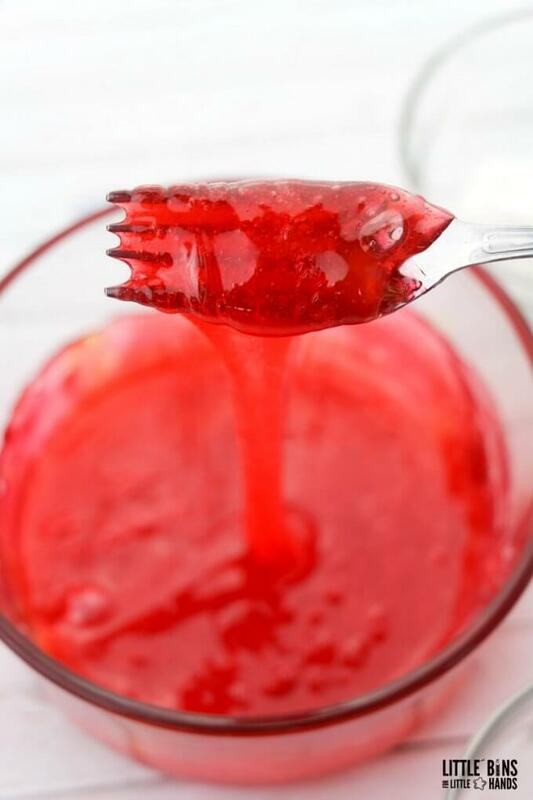 Stretchy and fun, edible gummy bear slime is a real treat for the kids. I stick to the basic classic slime recipes, but a friend made this one for me. She loves making homemade edible slime recipes, so I knew she was the lady to go to! 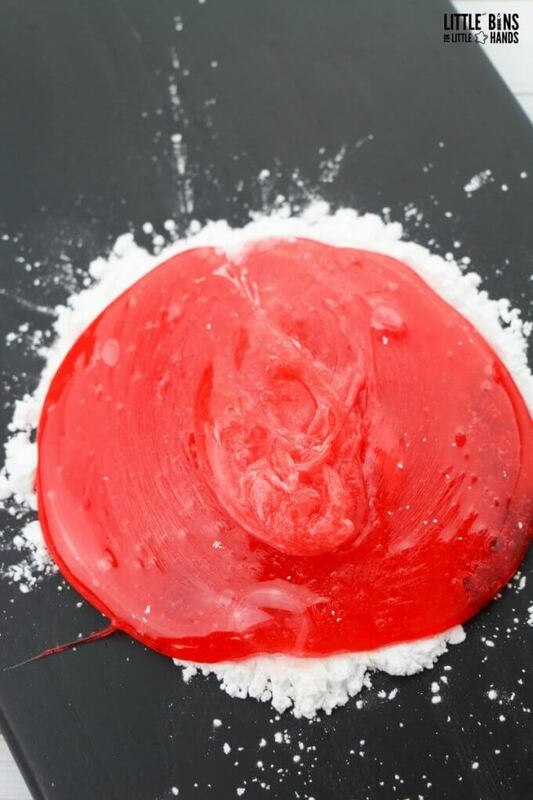 Maybe you need a completely borax free slime for one reason or another! All of the basic slime activators including borax powder, saline or contact solutions, eye drops, and liquid starch all contain borons. These ingredients will be listed as borax, sodium borate, and boric acid. Maybe you just don’t want to use or can’t use these ingredients! Or maybe you have a lot of candy hanging around, and want to do something cool with it! We have also made homemade peeps slime which you can see here. These words are used interchangeably, but here are my thoughts. 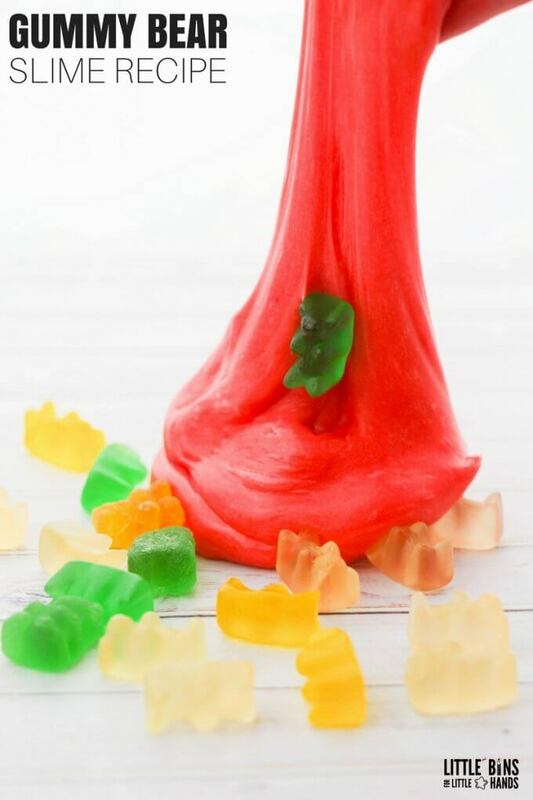 This gummy bear edible slime recipe is non-toxic, but I never suggest eating edible slimes as snacks. Adult supervision is needed for this slime as the mixture will be hot! Place the gummy bears in a microwave-safe bowl and heat for 30 seconds. Stir well and reheat as needed to make the mixture completely smooth (no lumps or bear parts left). Make sure to stir well to help the mixture cool down. HOT, HOT , HOT! 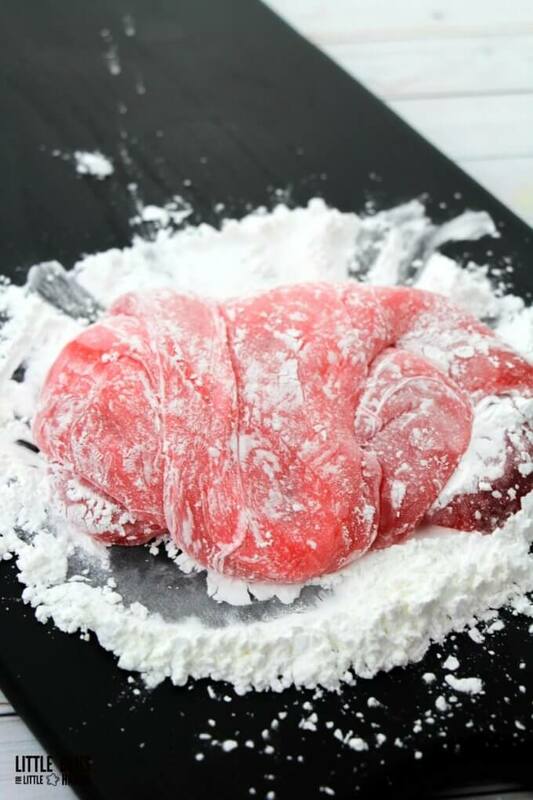 Combine cornstarch and icing sugar together and place half on a cutting board or clean surface (like your counter). Pour the gummy bear mixture onto the cornstarch mixture and when cool enough to touch, knead in the remaining cornstarch mixture. It will be sticky at first, but continue to knead and it will get less sticky. Once all of the cornstarch is incorporated, knead in a bit of oil to help make the slime more stretchy and elastic. You will probably not need the full amount of oil. This slime can be reheated once more for a second play but it is intended to be a one-time use recipe. 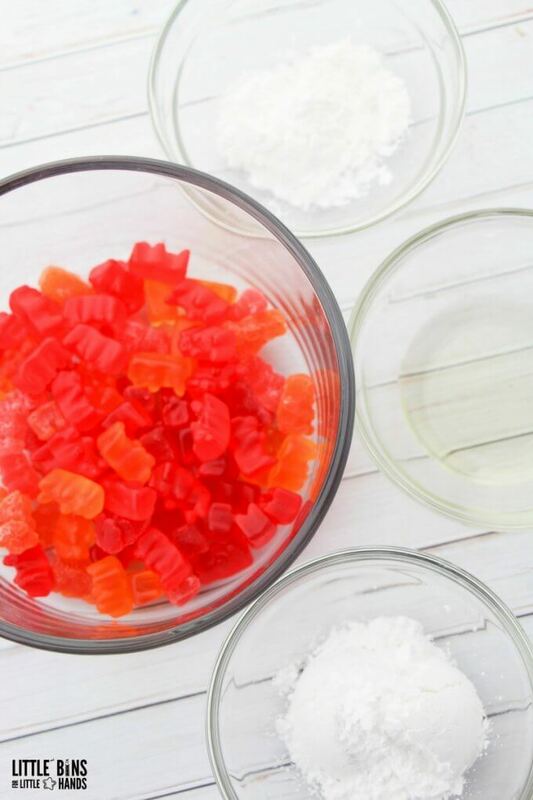 Divide up the gummy bear colors and make a couple batches as seen in the video! 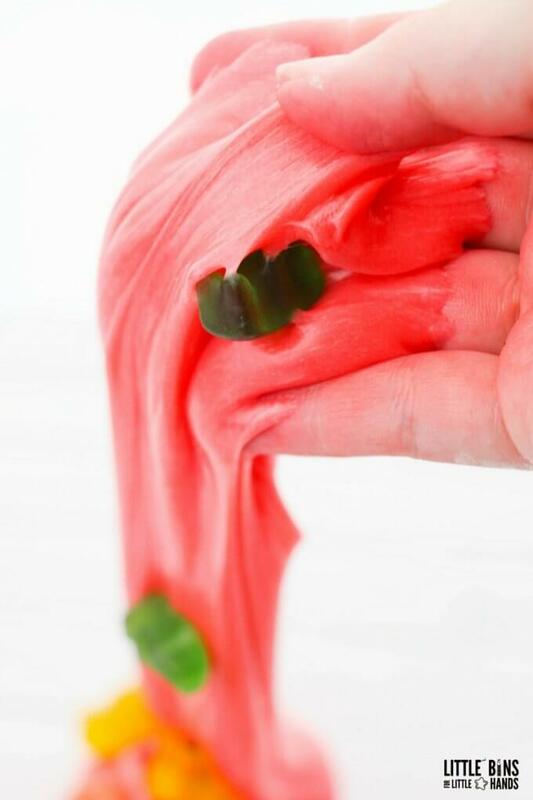 Soft candies are perfect for making edible slimes. Also check out our newest marshmallow slime! Make sure the candy has cooled well before starting to mix. The melted gummy bears will be hot! 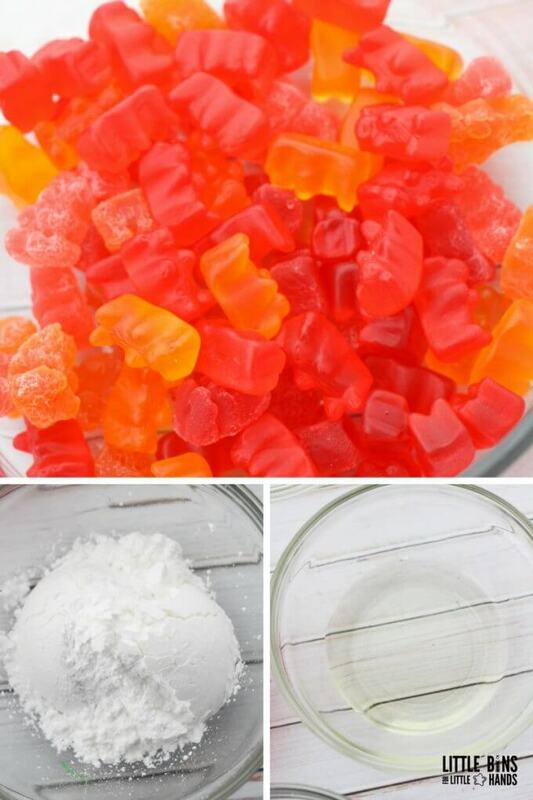 You can also make this gummy bear slime recipe without cornstarch for an even tastier experience. A little messier than our original slime recipes but totally worth the extra mess! Plus, who doesn’t like being covered in candy!? Kids of all ages will love this sensory rich experiences. Feel it, smell it, taste it! I hope you enjoyed making and playing with this stretchy taste safe gummy bear edible slime recipe! The best part is that it uses basic kitchen ingredients! 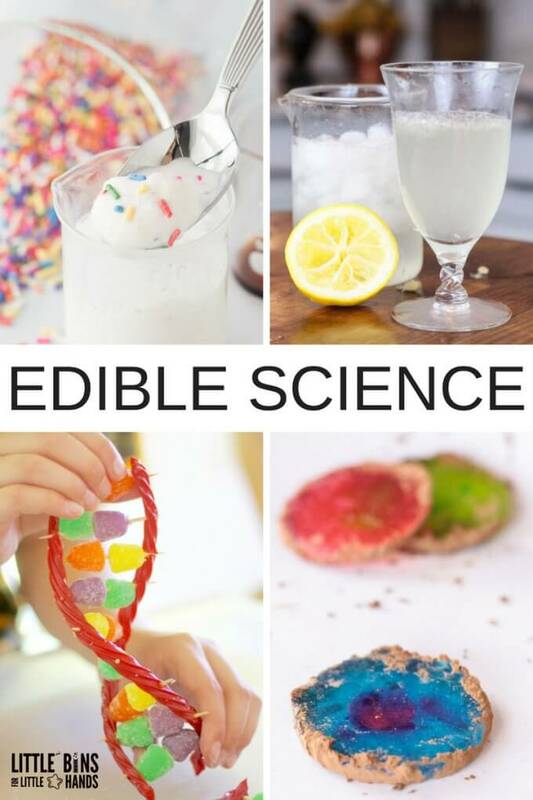 Check out more edible science activities as well as all of our best homemade slime recipes by clicking on the photos below. The ULTIMATE SLIME GUIDE is also available. Check it out here. 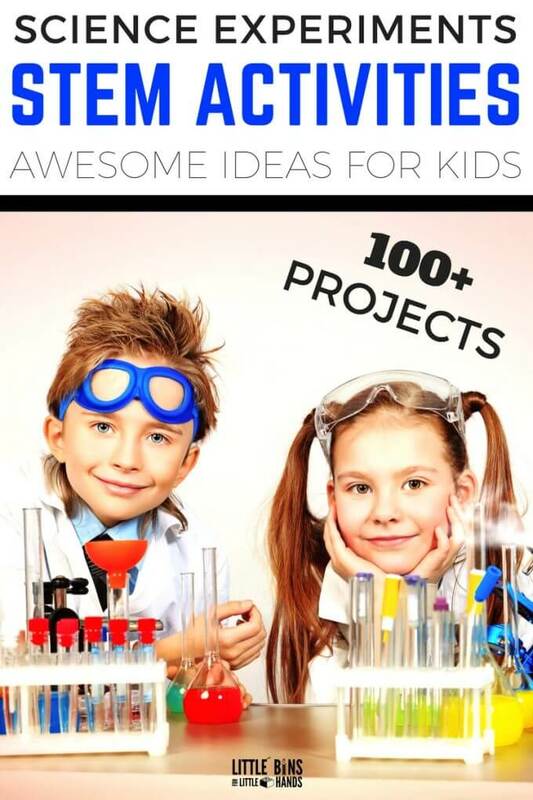 Thanks Sarah for this awesome Gummy Bear Edible Slime Recipe. My kids loved it and like to share it on their social profile. They become your blog fan and me too. They also tried this blog recipe http://iteenworld.com/make-slime-out-of-glue-shampoo-toothpaste/ and its worked. Hopefully, your recipe worked better than out of shampoo and toothpaste recipes. Thank you! Yes I haven’t had much luck with some of the odder slime recipes myself!